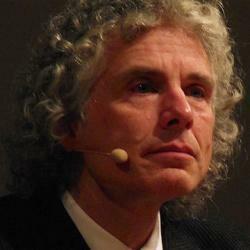 Steven Pinker’s new book reveals an ever more peaceable species: humankind. Is pessimism a biological trait, implanted in our ancestors by natural selection, or a learned, culturally inculcated propensity? Either way, it’s awfully widespread these days. Almost everyone I know seems glum, especially about the prospects for a more peaceful world. A year ago, at a military-history powwow, I asked a dozen speakers if nations will ever stop settling disputes with war or threats of war. Several smirked at the silliness of the question, and all answered no. Peter Mansoor, the conference organizer, was especially adamant. “I don’t think there’s anything that could convince me that major war or even another world war couldn’t happen in the future,” declared Mansoor, a former U.S. Army Colonel who served as an executive officer under General James Petraeus in Iraq. Plenty of lefties share Mansoor’s perspective. In his recent book Eaarth, the green author and activist Bill McKibben warned that unchecked global warming might trigger Malthusian battles over water and other resources. Such pessimism is understandable. Every day the media dutifully rub our faces in fresh slaughters, from suicide bombings in Afghanistan to Syria’s brutal suppression of anti-government protests. According to the 2011 Yearbook of the Stockholm Institute for Peace Research, major armed conflicts—which by definition kill at least 1,000 people a year—wrack 15 regions in Africa, Asia, the Middle East, and the Americas, not even counting the recent Arab uprisings. But “believe it or not,” the Harvard psychologist Steven Pinker proclaims in his new book, The Better Angels of Our Nature, “today we may be living in the most peaceable era in our species’ existence.” Other scholars have drawn attention to this underappreciated trend, notably the political scientists John Mueller and Joshua Goldstein. I’ve also delved into the topic. But we haven’t exactly triggered a groundswell of belief that humanity is transcending its savage past. I hope that Pinker’s 832-page blockbuster catalyzes a shift in the zeitgeist, because pessimism itself can thwart our efforts to create a less perilous world. Pinker is the ideal scholar to deliver glad tidings. He is an exceptionally lucid, entertaining writer, and no one can accuse him of being a Pollyanna. In his 2002 bestseller The Blank Slate, he advocated a tragic view of humanity. Our genetic heritage—which makes us innately quarrelsome, competitive creatures–will forever thwart our attempts to achieve heaven on earth, Pinker argued. In fact, humans are never more dangerous, he suggested, than when gripped by utopian ideologies, whether religious ones like Christianity or secular ones like communism. But Pinker has always emphasized that we are not slaves to our genes. We can overcome our worst impulses, both because we possess countervailing tendencies toward empathy and altruism and because we are capable of self-understanding and improvement. Pinker expands on this theme in Better Angels (a phrase coined by Lincoln in his first inaugural address) as he traces the historic decline of violence. The scope of his enterprise is vast. He has compiled voluminous data, mined from an enormous number of sources, on myriad forms of human conflict and cruelty, ranging from international war and genocide to torture, rapes, infanticide, even abuse of animals. Pinker shows that almost all the trends point in the same direction: downward. Modern homicide rates in Europe—one of the few regions where records are trustworthy enough to permit such comparisons–are 10 to 50 times lower than in the Middle Ages. Murder rates fell by two orders of magnitude in the northeast United States between 1625 and 1900. The past few centuries have also seen precipitous drops in state-sanctioned violence. That includes corporal punishment (from cutting off the hands of thieves to whipping students) and capital punishment, especially combined with torture (drawing and quartering, burning at the stake). Slavery and despotism (which allows tyrants to kill and torture on a whim) prevail only on the margins; 800 years ago they were the rule. As for war, Pinker presents evidence that it killed on average about 20 percent of the population of pre-state societies in the Old and New Worlds, a casualty rate higher than that of the most war-torn modern states. The decline of state-sponsored violence has obviously been erratic, and at times we have lurched backward, notably during World Wars I and II. The latter claimed more victims, in terms of absolute numbers, than any other conflict in history. But Pinker denies that these massive bloodlettings—and the genocidal slaughters that Stalin, Hitler, Mao, and other tyrants perpetrated against their own people—shatter any hope that humanity is becoming more civilized. Since World War II, none of the world’s major powers has waged war against each other, and historians have cautiously begun calling this period the Long Peace. Since the Cold War ended, smaller-scale conflicts—including civil wars, insurgencies, genocides, and terrorist attacks—have taken less of a toll, too. Pinker calls this two-decade period the New Peace. Annual war deaths have fallen over the past 60 years by more than an order of magnitude, from about 500,000 to 30,000 per year, according to one estimate. As for terrorism, you are more likely to be killed by lightning than by a terrorist. Pinker attributes the decline of violence to numerous mutually reinforcing factors that are likely to sound familiar. At the top of the list is the rise of the modern state, which suppresses the violence of citizens and adjudicates disputes by means of police and courts. What is more, democracies rarely if ever fight against each other; over the past century the percentage of humanity living under democratic regimes has surged from 12 to over 60 percent. The growing empowerment of women has played an important role; when women gain access to birth control violence tends to subside along with population growth. The rise of international trade, which makes nations increasingly dependent on each other, has helped, too. So have mass media and the spread of literacy, which promote empathy for others beyond our family, tribe, nation, and even species. Pinker keeps coming back to reason as the key to our ongoing pacification. Reason helps us see the destructive consequences of submitting to our violence-perpetuating “demons,” notably our desire for power and vengeance. Through reason we can understand the destructive consequences of violence, even against those whom we fear, and we can appreciate the benefits of cooperation. Reason has propelled the growing, global recognition of the rights of women, children, homosexuals, racial and religious minorities, and other often-abused groups. I have one major disagreement with Pinker. True to his tragic view of human nature, he subscribes to what I call the deep-roots theory of war, which holds that lethal group aggression, and not just violence per se, is an evolutionary adaptation reaching back millions of years. As evidence, he notes that chimpanzees, our closest genetic relatives, have been observed engaging in deadly group raids. So have tribal societies such as the Yanomamo, whose behavior supposedly resembles that of our pre-state ancestors. Archaeological relics—skeletons with hack marks and spear heads embedded in them, rock drawings depicting battles and walls and other fortifications—also reveal that pre-state societies engaged in group violence. Critics have raised many objections to the deep-roots theory. Chimp raids are rare, and may be a response to recent human encroachment. Some modern tribal people, such as the Semai of Malaysia and the !Kung of Africa, are quite peaceful. As for the archaeological evidence of warfare, it extends back only about 12,000 years, and excavations have revealed that some pre-state societies thrived for centuries or longer without leaving significant signs of violence. You don’t have to be prone to dangerously utopian views to be persuaded, as I am, by a different theory of war’s origins, first advanced by Margaret Mead in 1940 and favored by anthropologists such as Sarah Blaffer Hrdy, Douglas Fry, and Brian Ferguson. War, Mead proposed, is not a biological adaptation but a cultural “invention”—like music, art, cooking, and religion—that emerged relatively recently in human prehistory. War is an especially infectious meme, because if one society starts attacking its neighbors, their only options are to surrender, flee, or fight. Societies in a warlike region have a strong incentive to boost their fighting capability, by inventing new tactics and weapons, and to carry out pre-emptive strikes against neighbors. In this way, the whole world rapidly became militarized, armed and dangerous. For millennia, we have been struggling to overcome this cultural contagion, and we’re still struggling, in spite of our recent gains. Just in the last decade, the United States, arguably the most advanced civilization in history, has invaded two countries, and it now routinely assassinates without trial many suspected enemies around the world. The debate over how war began is important, because those who reject the possibility of a radical, permanent reduction of state-sponsored violence often cite the claim that war is deeply rooted in our prehistory and genes: War, if it is ancient and innate, must also be inevitable. I wish that Pinker had repudiated the deep-roots theory, or at least acknowledged the abundant counterevidence. Still, Better Angels is a monumental achievement. His book should make it much harder for pessimists to cling to their gloomy vision of the future. Whether war is an ancient adaptation or a pernicious cultural infection, we are learning how to overcome it.